The first AGILE Early Access Dev Kit test with the University of Colorado Anschutz Medical Campus resulted in novel measurements that could not be gathered using traditional methods. This technology is a game-changer for developmental biologists. It opens the field of proteomics to a discipline that's previously used just RNA data. AGILE (Automatic Graphene Immunolinked Electronic) is the world’s first and only commercially available graphene biosensor. It is an all-electronic, portable, label-free system that provides real-time analysis of biomolecular interactions including kinetics, affinity, and concentration. AGILE sensors are now available to participants in Nanomedical Diagnostics’ Early Access Dev Kit program. The company will be showcasing AGILE technology at MnM’s Biomarker Conference on February 18 and 19, and at the Experimental Biology Conference from April 2nd through 6th, both in San Diego. 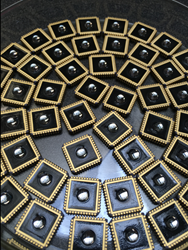 For more information about Nanomedical Diagnostics or AGILE Sensors, including Early Access Dev Kit opportunities, visit http://www.nanomedicaldiagnostics.com. Nanomedical Diagnostics is a biotech company based in San Diego, CA. Begun in late 2013, it is the first company to combine expertise in biology, nanotechnology, surface chemistry, engineering, and manufacturing to create practical and scaleable graphene biological field effect transistor (BioFET) products. Its ongoing mission is applying cutting-edge capabilities to produce affordable diagnostic and monitoring platforms that deliver accurate, timely health information and improve patient outcomes and lives.